MMA fighters are a group of individuals who tend to push their limits and test their abilities, both physically and mentally. They are widely appreciated because audiences, be it fighting fanatics, sports enthusiasts or simply the common viewer, enjoy watching great feuds with heavy impacts. Violence is just something, we as human beings (for the most part), are drawn to whether we like to admit it or not. So when we watch two fighters step into an octagon, a ring, or even a circle comprised of young juveniles yelling, “FIGHT, FIGHT, FIGHT,” we watch and wait to see what happens. Yet, once the fight is over and done with, the audience gets to go home safe and sound, while the fighters, on the other hand, go home with broken bones, cuts, bruises and blood stained garments. For those who watched the fight, they might get a memory, a ticket stub or maybe even good snapchat story if they are lucky. For the fighters, however, their cuts turn into scars, their broken bones get sealed with casts, and their head trauma becomes migraines or worse, brain damage -- all of which can last weeks, months and sometimes even years after the fight. Fighters are tough, though, there is no denying that. It's why we watch, because we know they can take a punch. But over the course of several fights and countless beatings -- especially to the head -- the trauma adds up. Look at fighters like Chuck Lidell, Wanderlei Silva and Gary Goodridge. These fighters could take a beating early on in their careers and be ready to fight the next day. However, over the years, they developed what is known as a glass jaw, meaning that even the slightest hit to the head could put them face down on the mat, lights out. "I think this is a landmark study for understanding brain health and the impact of different head injuries." The study consists of MRI brain scans, blood testing and cognitive and motor studies using technology developed by the clinic. The researchers hope that the data will eventually point to earlier signs of neurological disorders such as Parkinson's, CTE, ALS and Alzheimer's. "The wounds heal, the injuries will go away they may leave scars but I'm more concerned about what's going on inside with my brain and long term health." 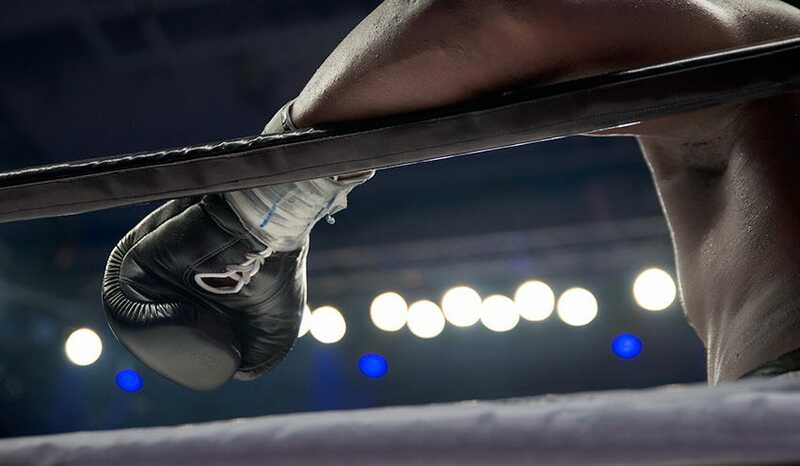 The Cleveland Clinic’s research will take several years until completion, but they are confident that the results will ultimately prevent fighters from stepping into the ring before it’s too late. The Cleveland Clinic is currently looking for individuals who rarely, if ever, experience head trauma so that can couple their research with studies taken from ordinary civilians.